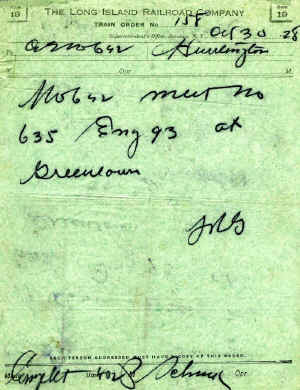 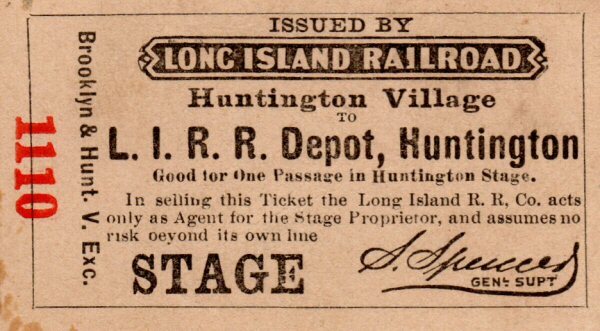 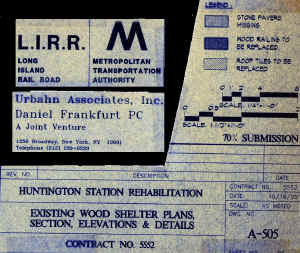 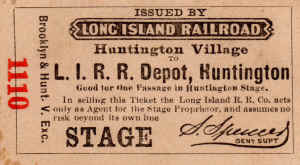 A coupon of a (probably 4 coupon) Brooklyn – Huntington excursion ticket. 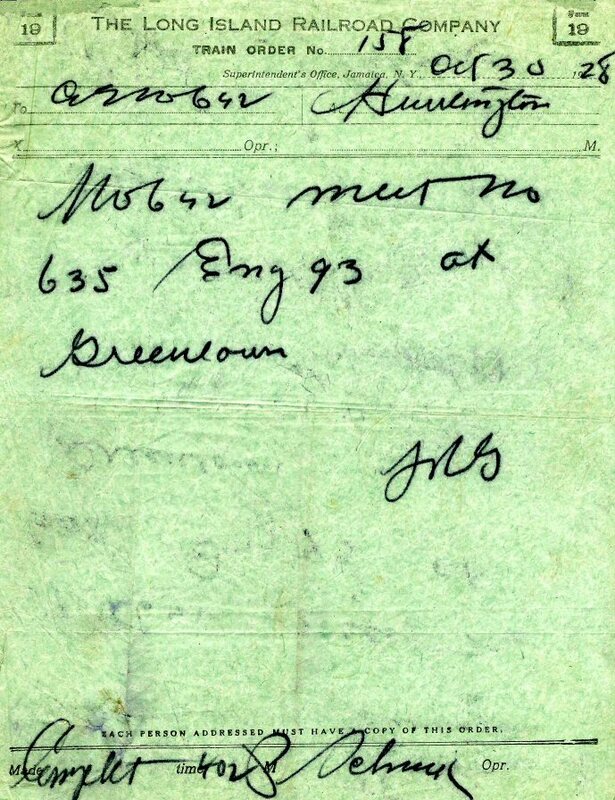 It’s stamped on the back but it’s a partial and is illegible. 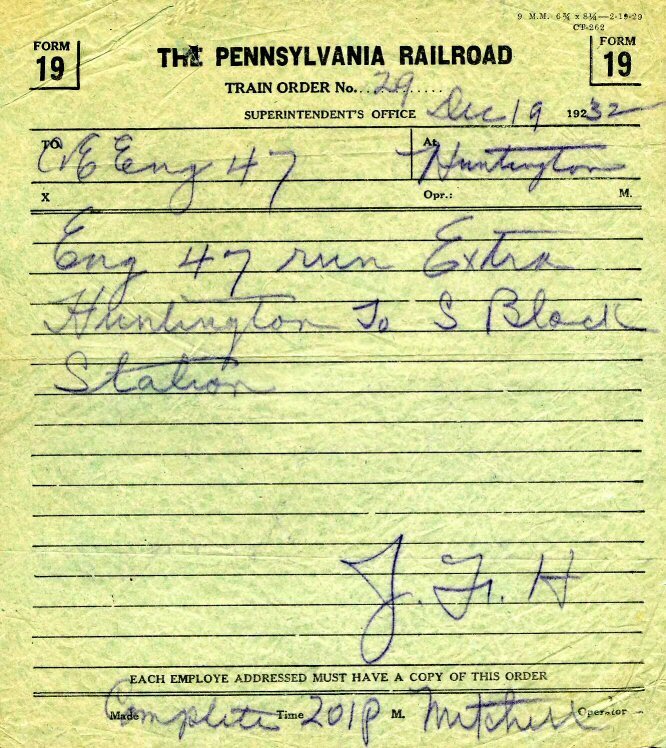 The signature sure looks like “S. 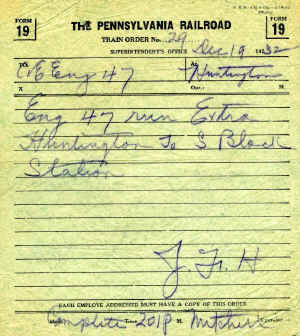 Spencer” with a title of General Sup’t. 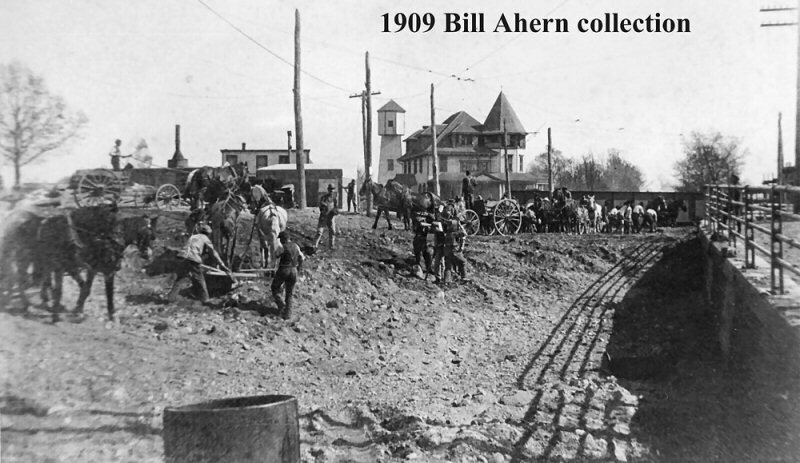 Archive: Bill Ahern, whose grandfather was the construction foreman on the project. 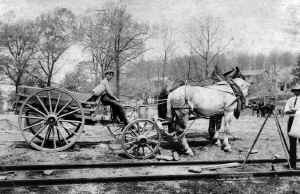 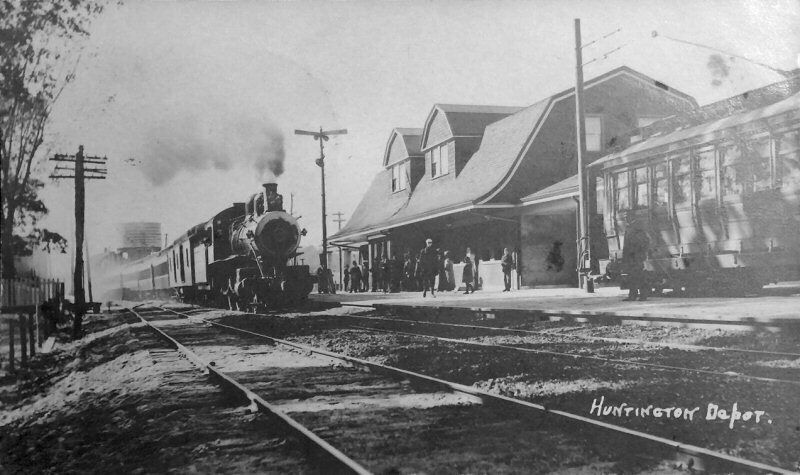 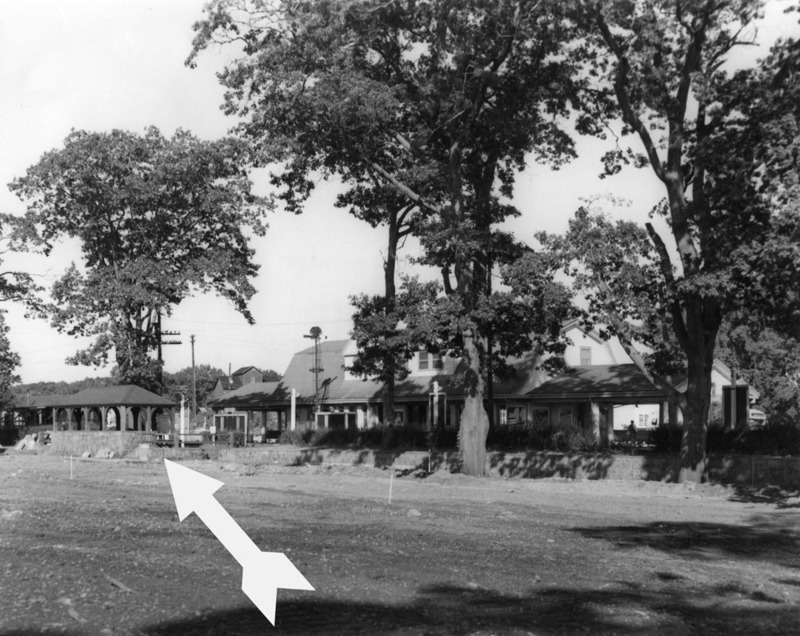 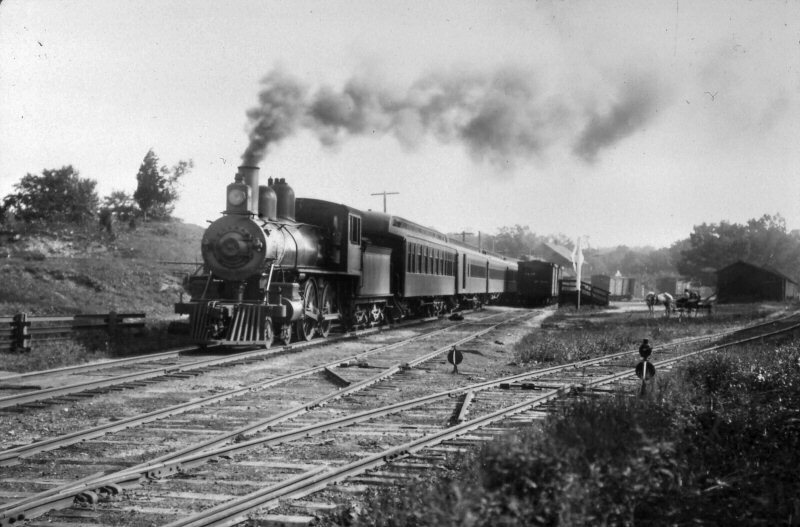 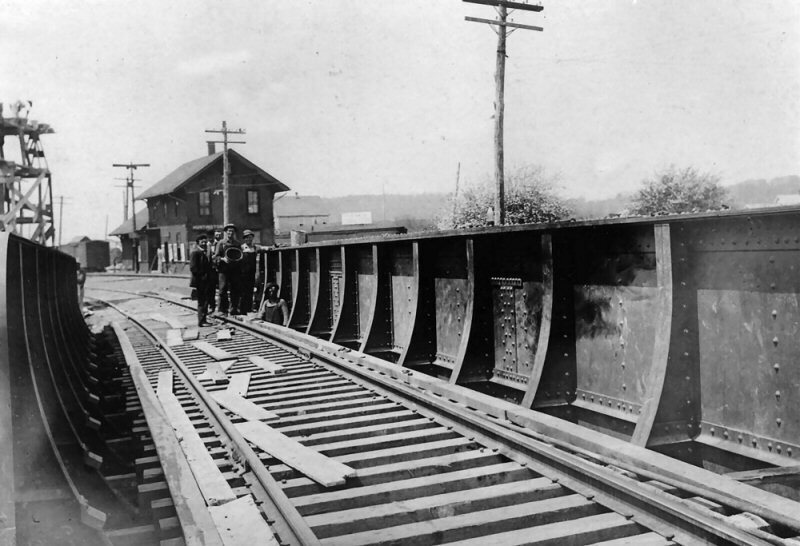 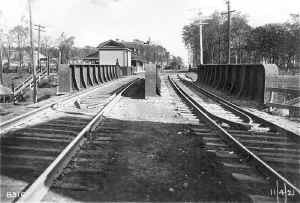 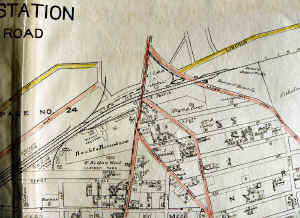 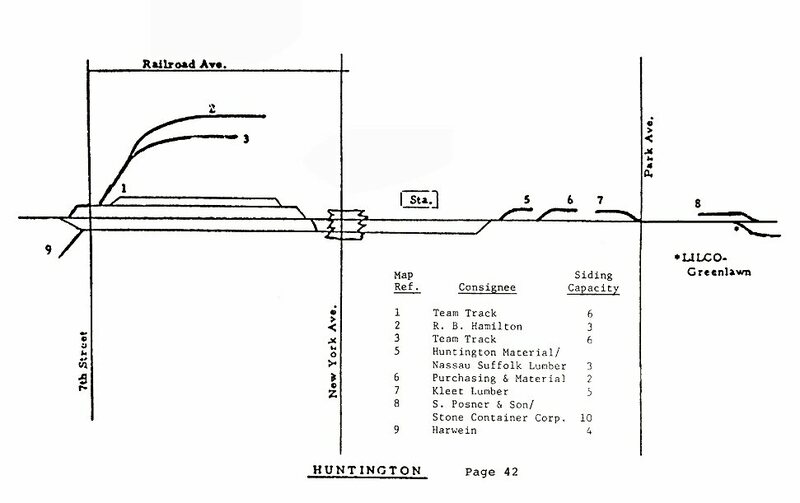 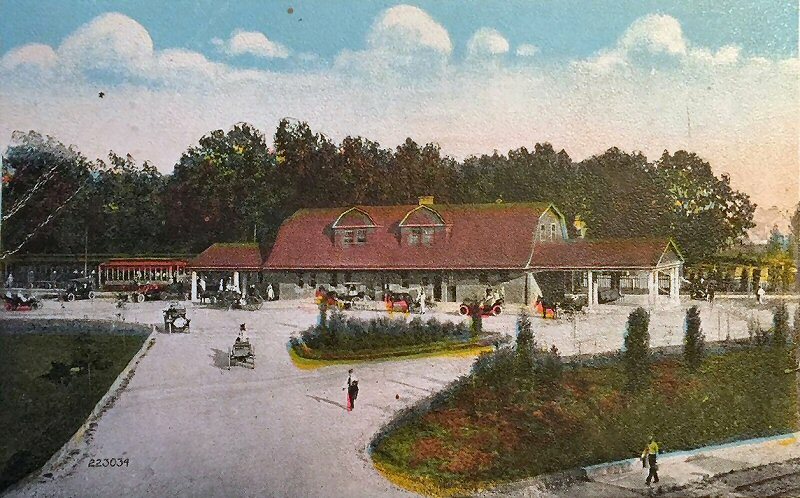 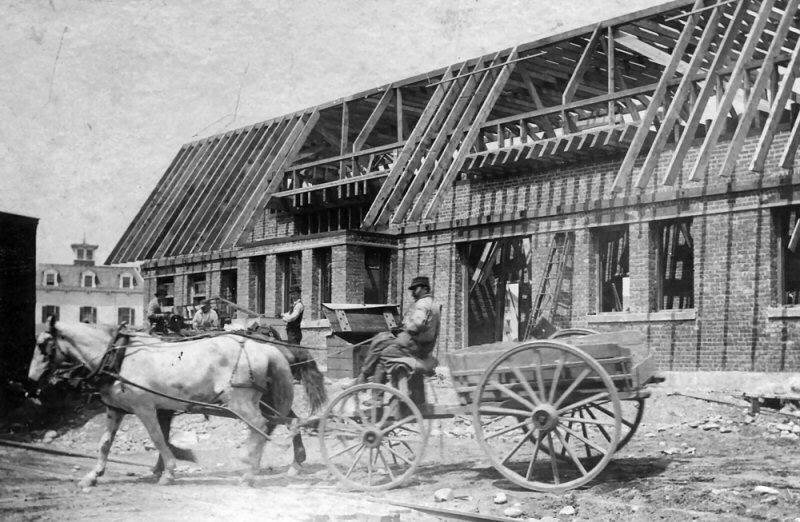 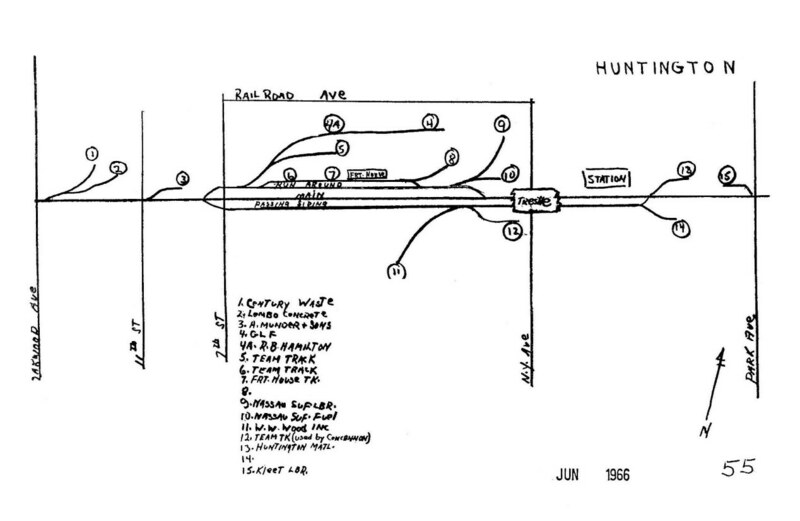 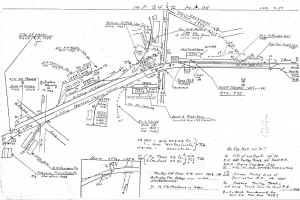 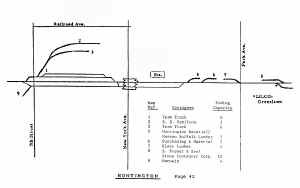 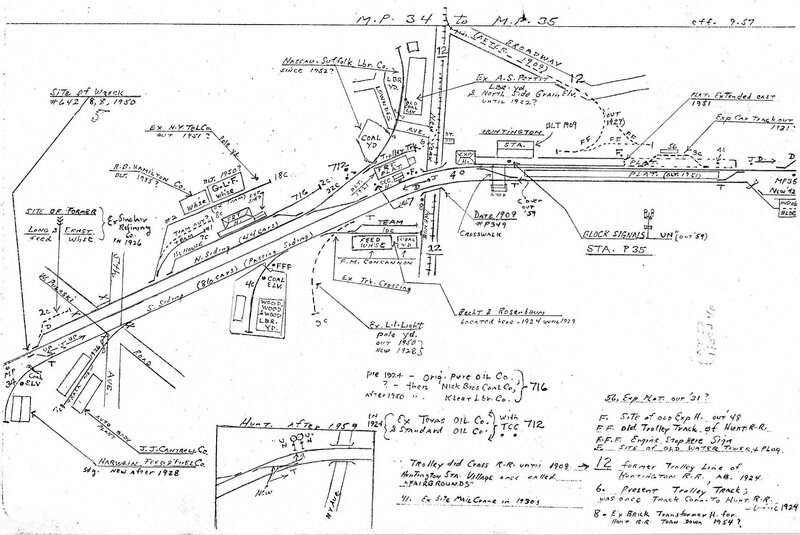 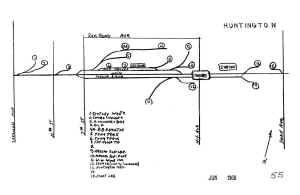 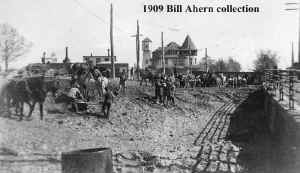 Huntington Construction 1909 grade crossing (New York Ave. - Route 110) elimination. 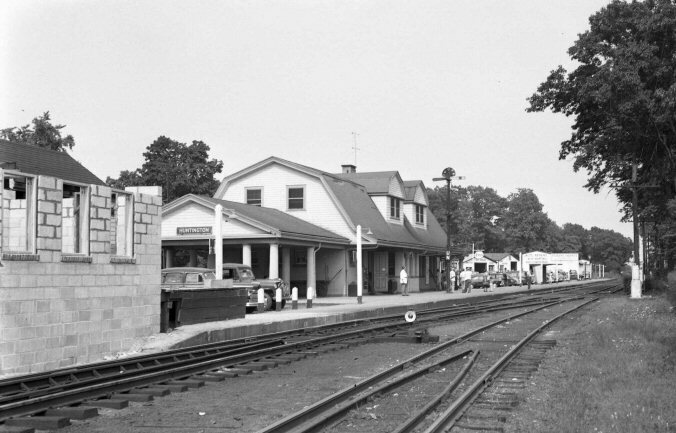 New station under construction in background. View E.
Huntington Construction 1909 grade crossing view S along New York Ave.
Huntington Construction 1909 grade crossing (New York Ave.) elimination. 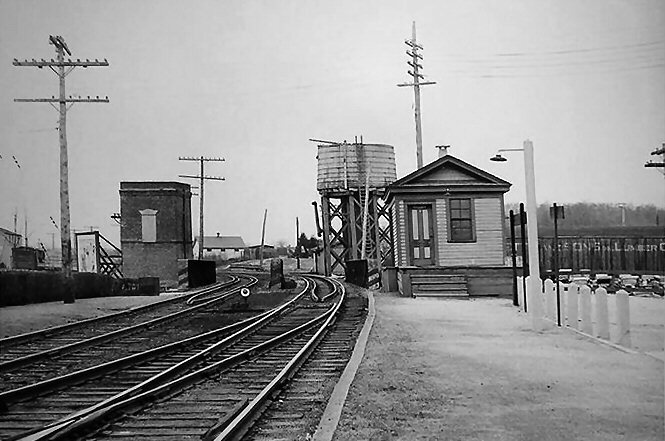 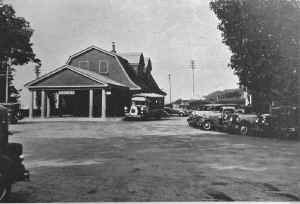 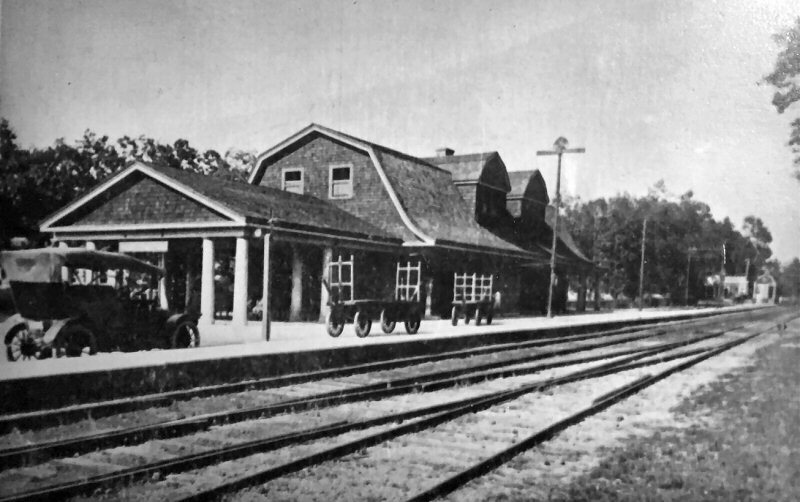 Old station in background. 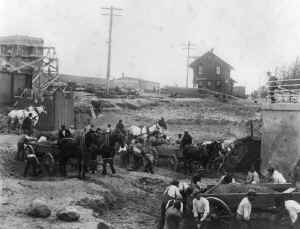 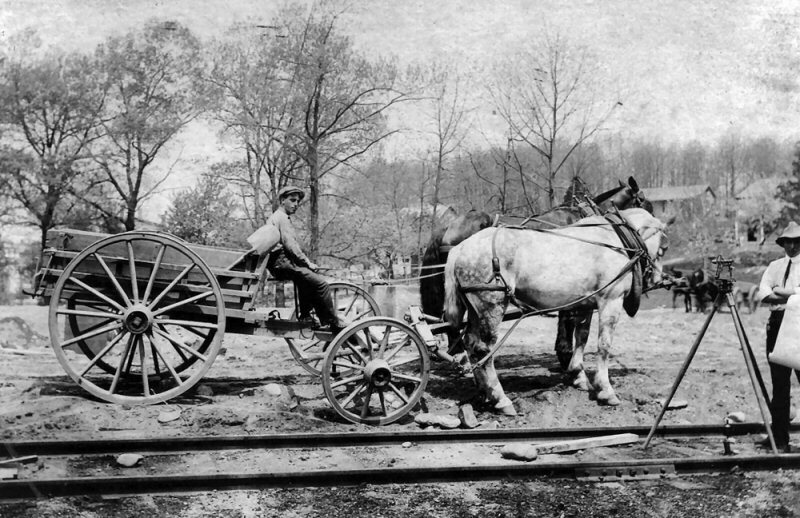 Huntington Construction 1909 grade crossing elimination horse team and construction worker. 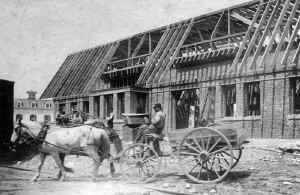 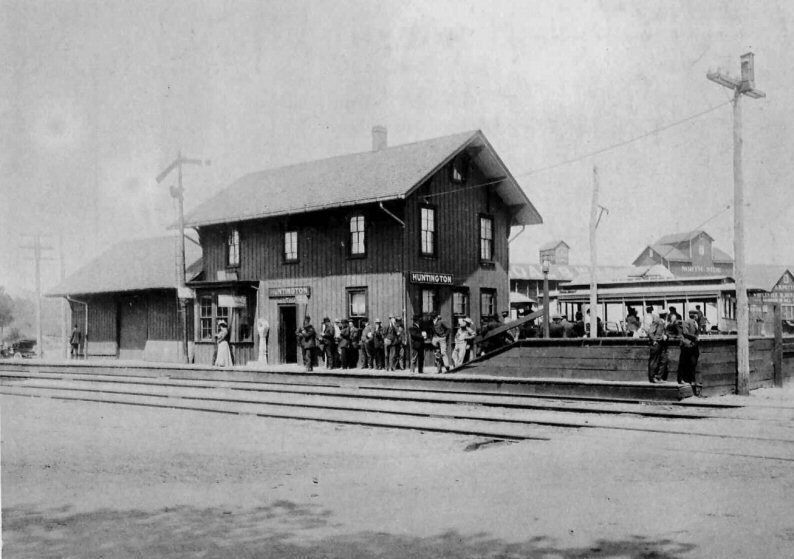 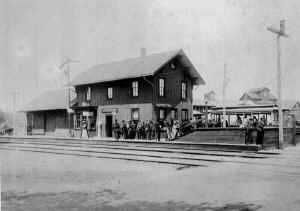 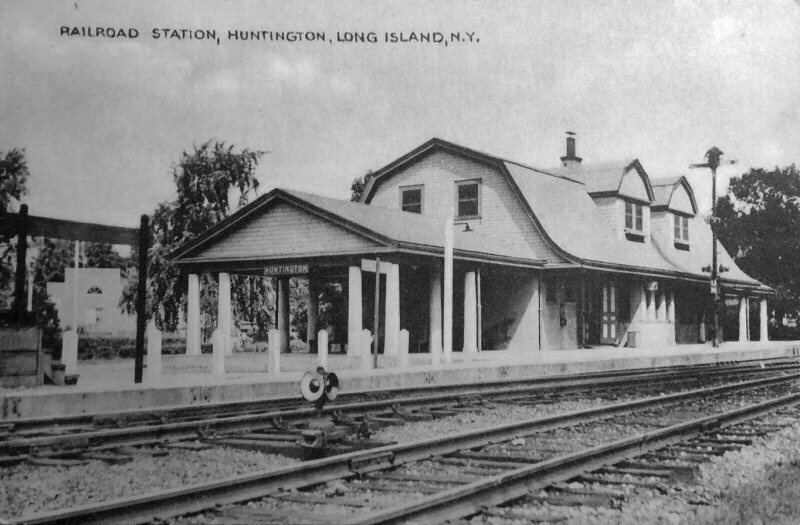 Huntington Construction 1909 grade crossing (New York Ave.) elimination. 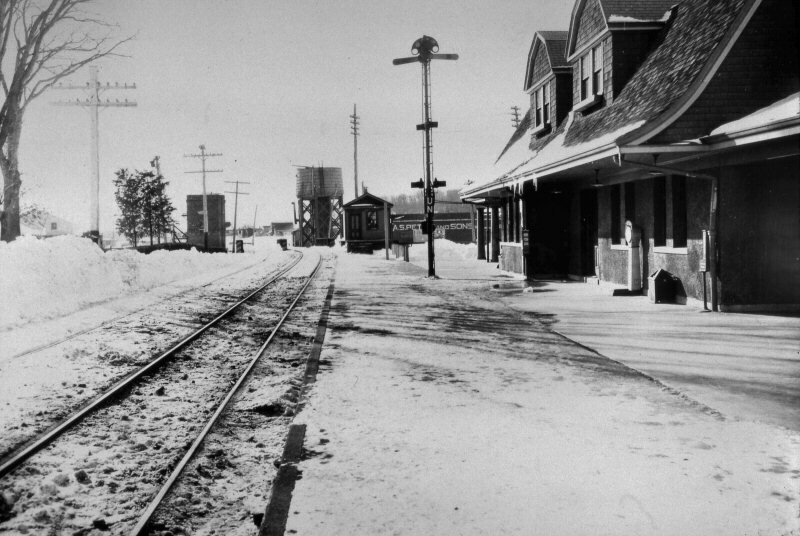 Old station in background. 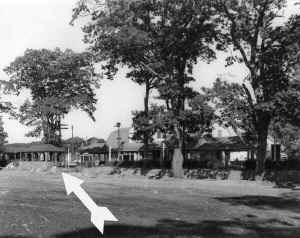 View SW across Route 110. 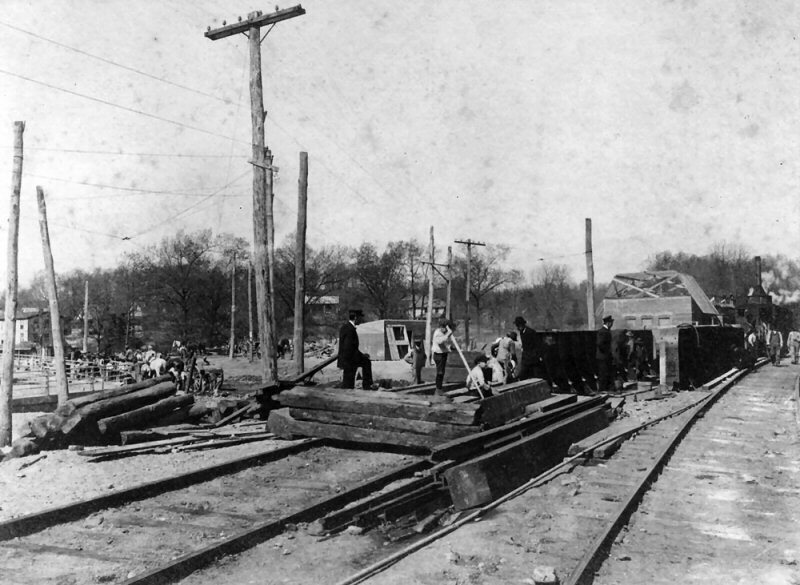 Huntington Construction 1909 grade crossing (New York Ave.) elimination. 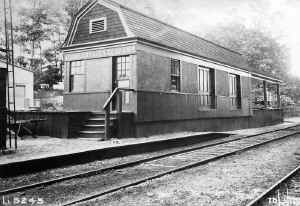 New station under construction. View NW. 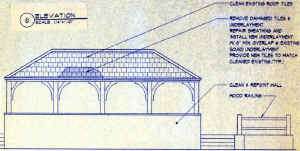 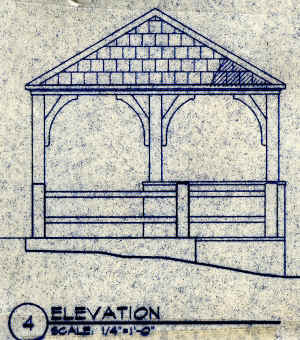 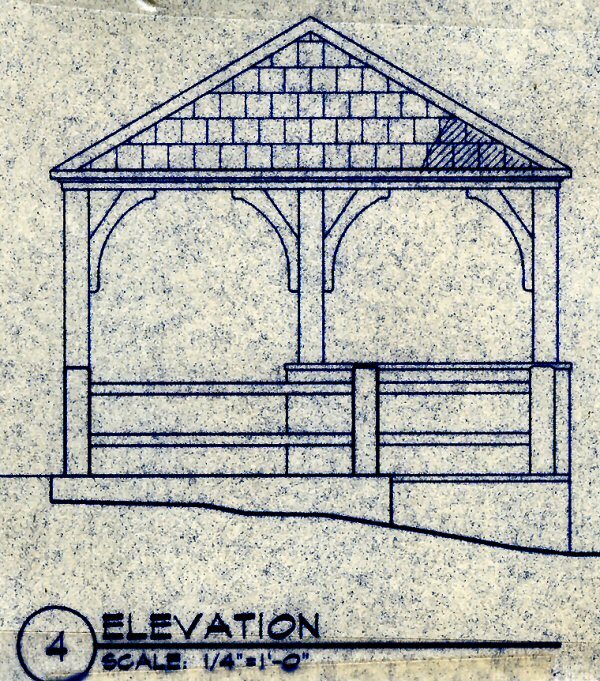 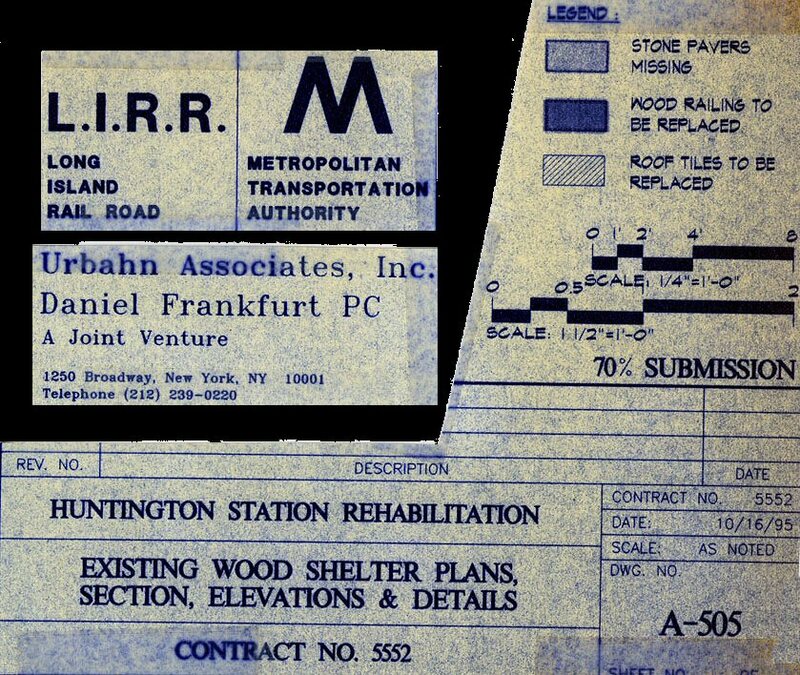 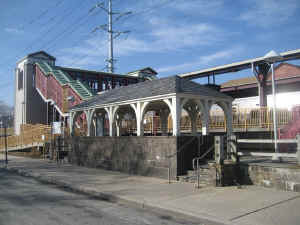 This shelter was supposed to be demolished as part of the 1995 station renovation project. 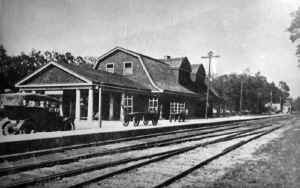 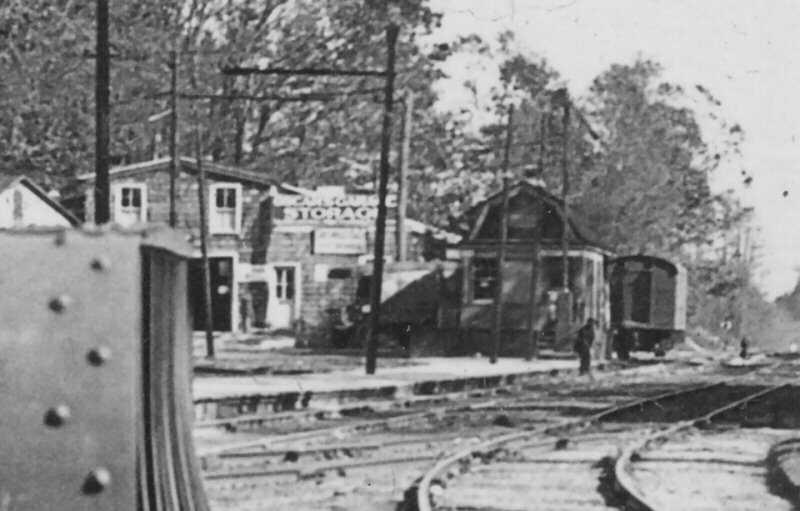 I was the Port Jefferson Branch Line Manager at the time. At a meeting with Capital Programs, I protested the shelter demolition, contending that the shelter should be restored and that it would then enhance the beauty of the entire project. 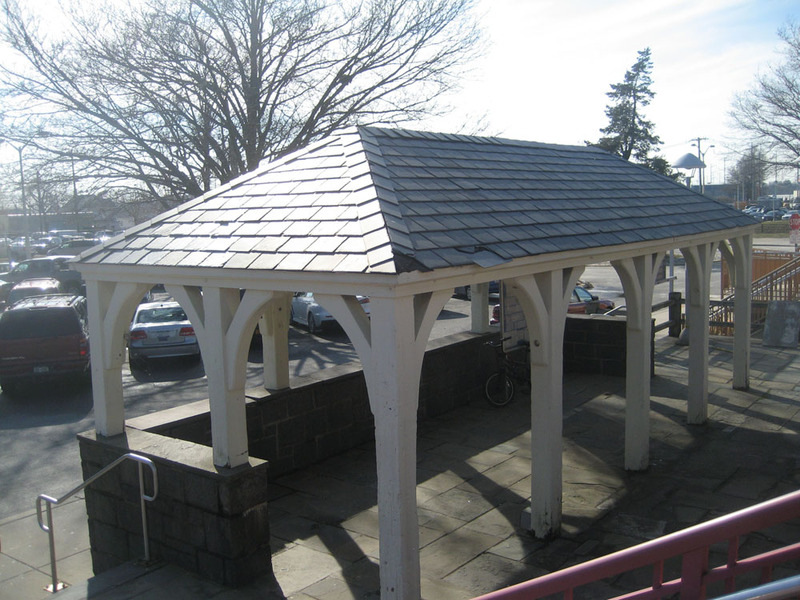 Project Manager, Boris Gutman, agreed with me and had the shelter completely restored, putting on a new slate roof, re-staining the wood columns and repairing the stone walls. 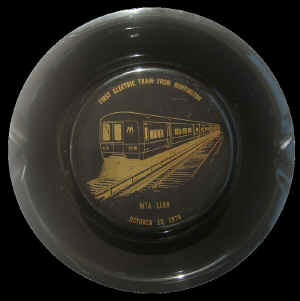 Well done Boris! 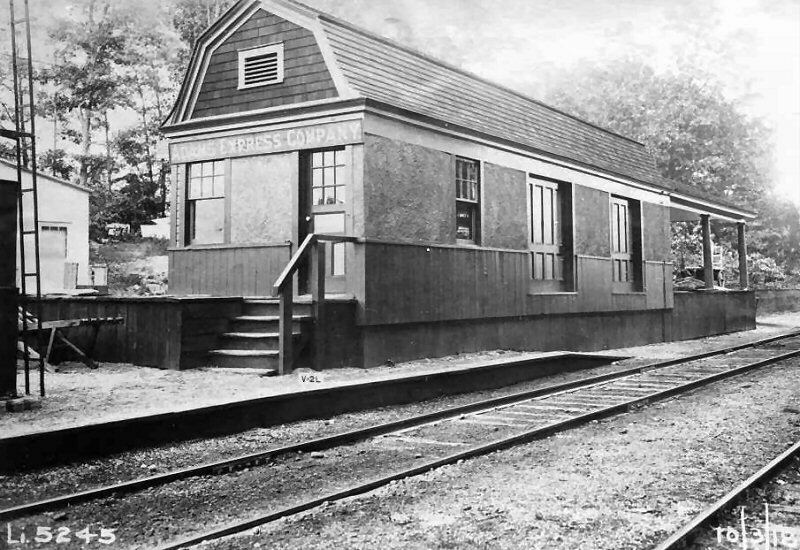 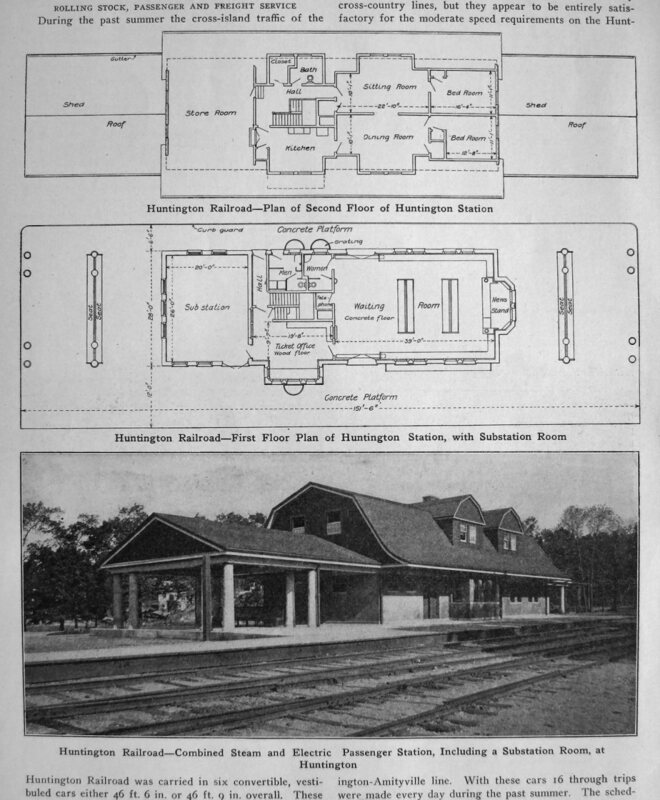 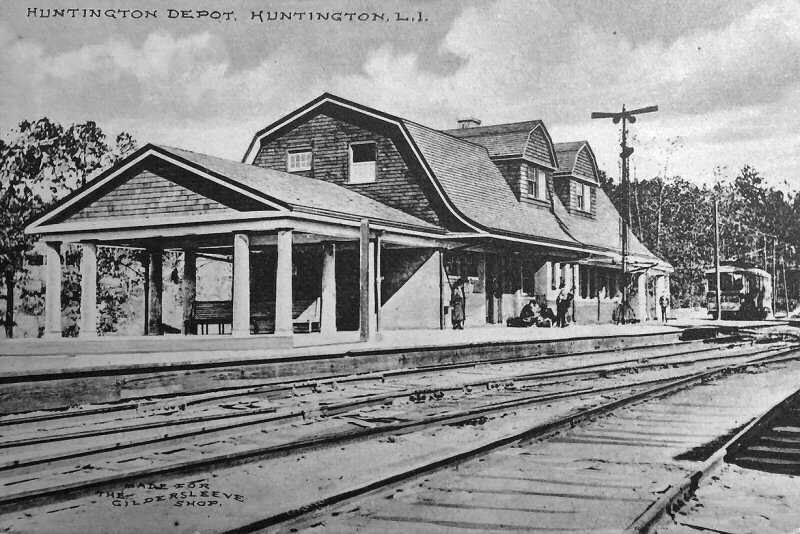 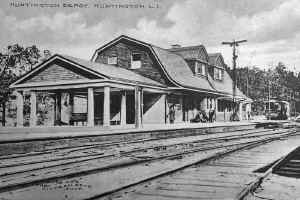 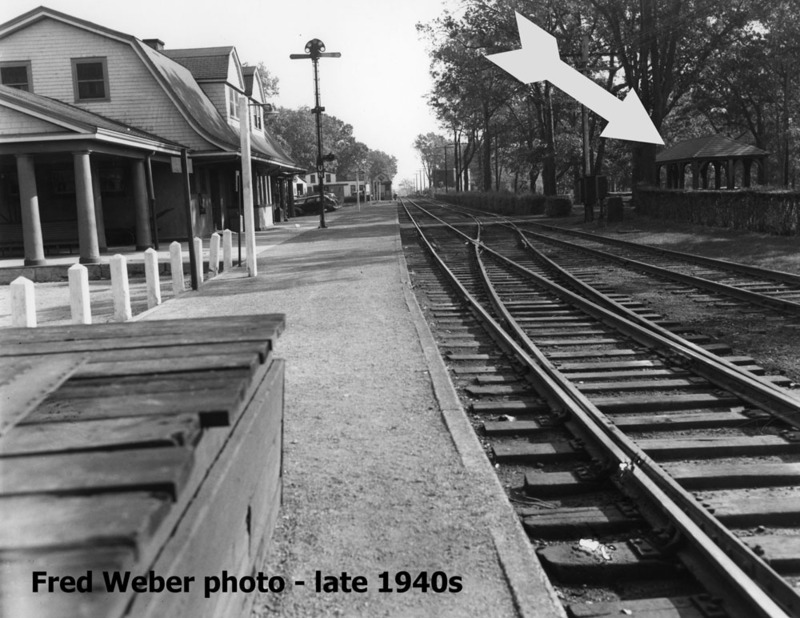 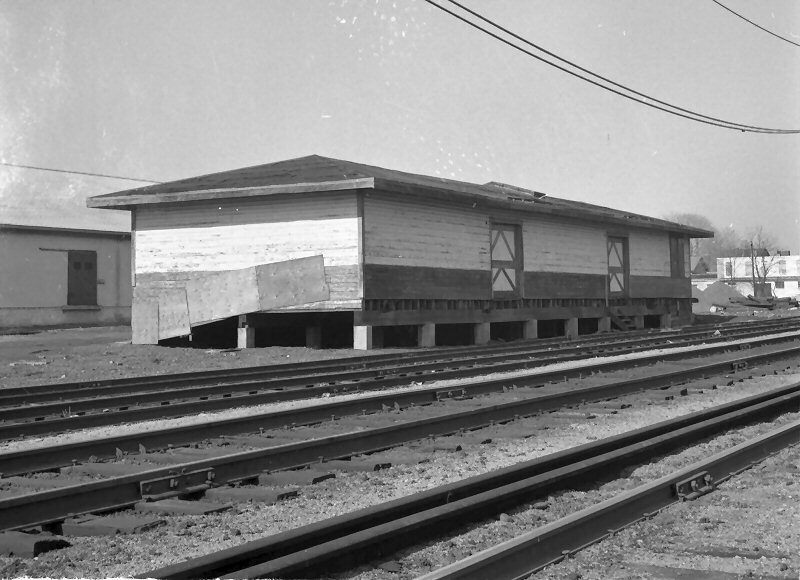 Huntington is presently the terminus of electrification on the Port Jefferson Branch. 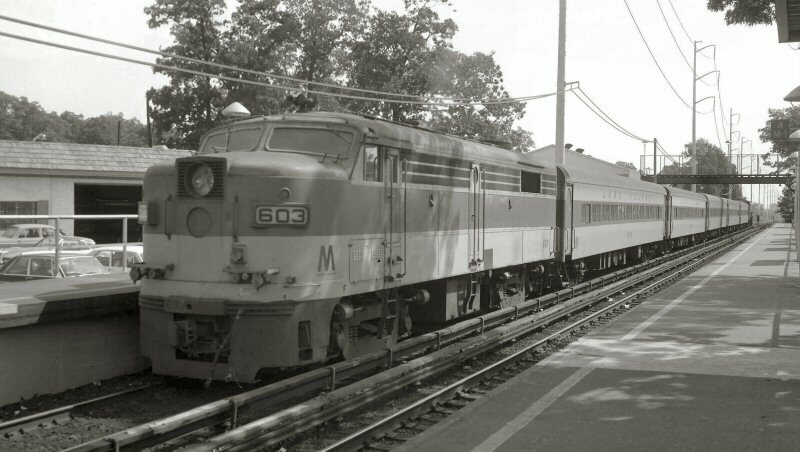 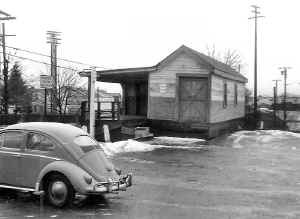 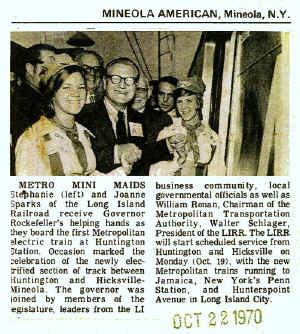 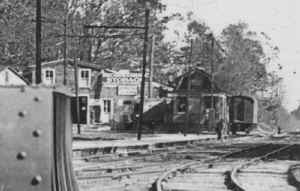 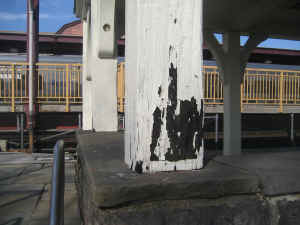 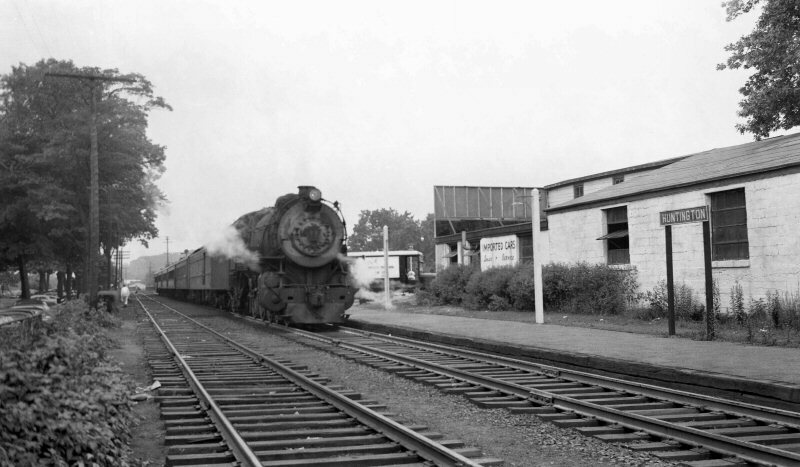 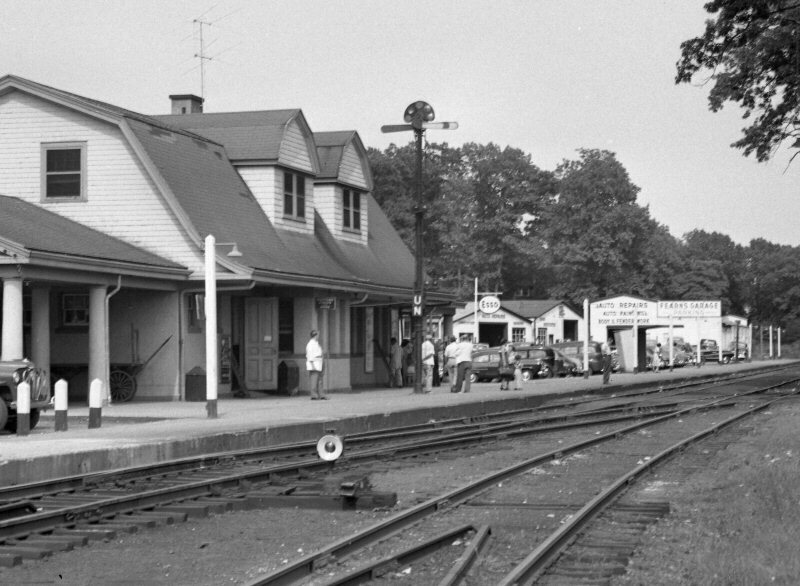 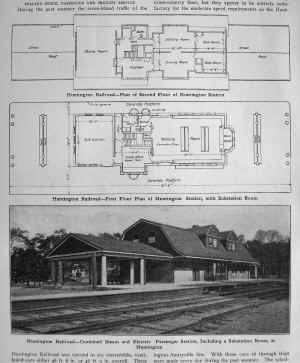 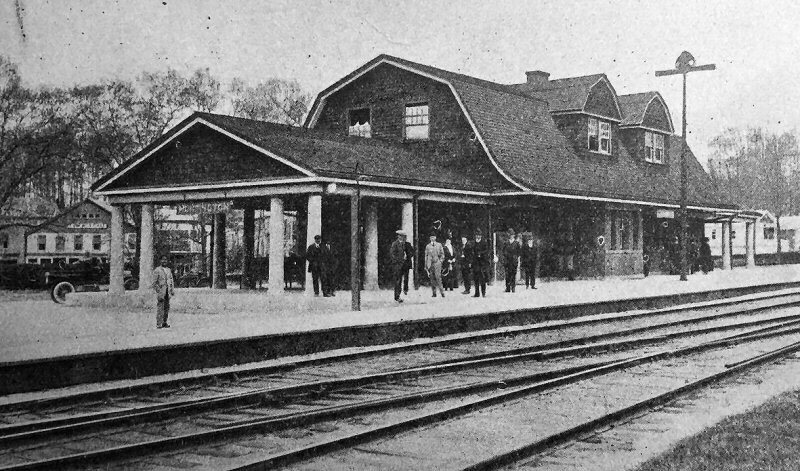 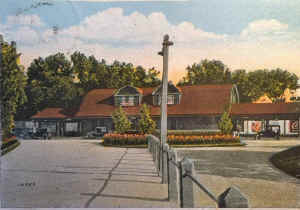 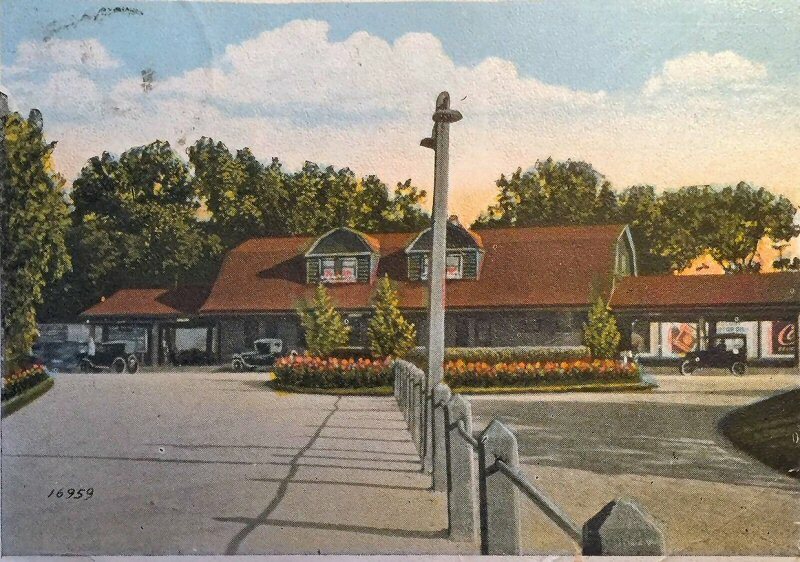 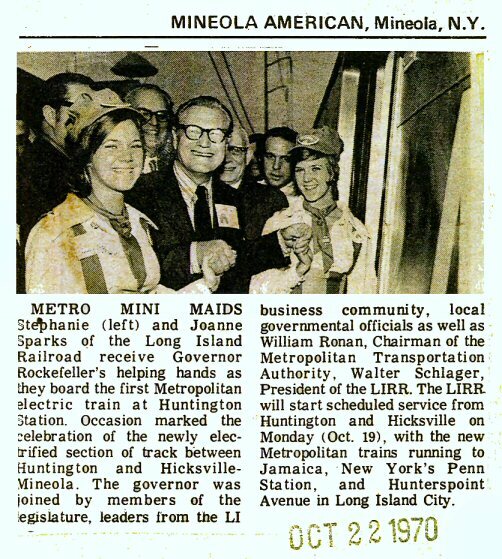 The project was extended from Mineola and completed October 13, 1970 with service commencing on October 19, and since then the station has become an intermediate transfer point for off-peak riders between electric trains to and from Penn Station and diesel scoot trains to Port Jefferson.